Listening to the customer and developing the product according to his wishes. That is the trump card played by the Fiat Linea which offers ‘value’ first and foremost, consistent with the prime and most important request that every customer makes when it comes to buying a car. This is why the new model range proposes features typical of higher segments where safety and comfort are concerned, all made more interesting by good value for money and an excellent balance between performance and consumption, without overlooking the constant striving for innovation. 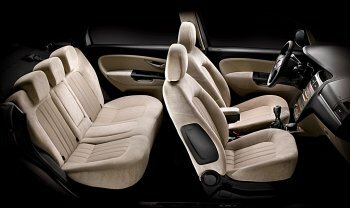 The Fiat Linea is a true world car, and the range differs slightly for each of the many markets where it will be sold. Here we illustrate the main standard and optional features that will be found on most of the versions on sale. At its launch, the Fiat Linea will offer a choice of two engines (90 bhp 1.3 Multijet and 77 bhp 1.4 16v), three specification levels (Active, Dynamic and Emotion), 11 body-colours and three interior outfits. The Active specification addresses a customer for whom the price-content ratio is all-important. So standard safety equipment includes ABS complete with EBD, Multistage front airbags and Isofix attachments, while features dedicated to comfort include hydraulic power steering, electric front windows, central locking, a trip computer and a steering wheel that adjusts axially and for height. The Dynamic version is the version for motorists who wish to combine an emotional and a rational response. This version is the same as the previous level, with the addition of a radio with CD player, manual climate control and remote control. And to highlight the comfort on the Fiat Linea Dynamic, the car offers electric door mirrors, a height-adjustable driver’s seat, a split rear seat and three rear head-restraints. And finally, the third specification, Emotion, is ideal for someone looking for the equipment of a higher segment and outstanding comfort. For example, safety devices include no fewer than 6 airbags (front, side and curtain-bags) and foglights. In addition to the features available on the Dynamic, standard equipment now includes a dual-zone automatic climate system, a driver’s seat with electric lumbar adjustment, electric rear windows, front and rear armrests, and a leather-covered steering wheel and gear lever knob. A radio with CD player (including MP3 files), steering-wheel-mounted radio controls and the innovative Blue&Me system with an USB port complete the array of equipment. And finally, the Emotion specification is recognisable for its elegant 17” alloys. 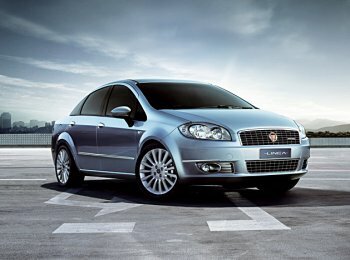 So it is no exaggeration to say that every motorist will be able to find the Fiat Linea he is looking for, maybe customising it with some of the many options on offer: from the ESP system (complete with ASR, MSR and a Hill Holder) to Cruise Control, leather upholstery, and parking, dusk and rain sensors.